It’s a well-known fact in my family that I startle easily. My husband and kids are often met with a gasp or shriek if they walk into a room unannounced, or even address me from a direction that I’m not facing. I’ve been known to leave the ground. Sometimes, if I’m deep in thought, the slightest movement (real or imagined) in my peripheral vision can set me off. I’ve been startled by my own eyeball floaters. These reactions and over-reactions are geeky and odd, for sure, but they have nothing to do with me literally being afraid. As a child, I don’t remember feeling particularly fearful or fragile, but I appeared that way because I was sensitive, pensive, cautious. I cried easily and often. My vulnerability created problems because it made my parents feel a little sorry and afraid for me. Naturally, they were protective, which wasn’t a good set-up for me to believe in myself as a strong, self-confident person. All that said, the note Melaine shared with me struck a nerve. I have a two and a half year old son and am wondering how I can guide him to be less shy and less fearful. 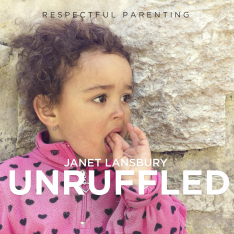 I’ve read both of your books (some parts multiple times), and I love the respectful, patient and consistent philosophy of parenting. It really seems to work well for my son so far — tantrums are mostly under control, and he follows direction pretty well. One thing I have not yet been able to improve on is his cautious/shy/fearful personality. He is most comfortable with me and my husband, and then his four grandparents. Around us, he is very talkative, social, and FUNNY! Around everybody else, he really goes into a shell. Till about age two, he would cry when someone (other than parents or grandparents) approached him to carry him. Now he doesn’t cry anymore, but he won’t let anyone carry him. He also speaks about 10% of his typical speaking around ‘strangers’. Definitely not the funny guy he is around me. He does eventually warm up, but that takes a couple of hours (and even then, he will probably be 25% of his typical self). He dislikes when people approach him. He prefers to be the one to approach others. I take him to My Gym and Wondertree classes and around other kids. He lets kids go past him for the slide and never ‘fights’ for a toy (he will give his toy if another kid wants it). He will go around the crowd (instead of through the crowd of kids) to put away things. He will also say he’s scared when people are acting out dinosaurs or other loud animals or loud scenarios. He won’t tell people “hi” and sometimes will say “bye.” He used to do high fives but not anymore. Again, with me, my husband and his grandparents, he acts tough, silly, energetic and is a chatterbox. I’m not worried about his physical strength or his intellect. Just wondering how I can gently guide him to be less shy and fearful. Sensitive children can be the most misunderstood. Their openness is mistaken for weakness. Their caution and reactiveness are seen as fear. Their thoughtfulness and awareness are perceived as reticence, and their introversion as lacking in social skill and self-confidence. They’re regarded as needy and deficient rather than innately blessed with an excess of perceptiveness, learning abilities, empathy, and intuition. In these early impressionable years, children tend to believe whatever their parents see in them. For instance, if parents see their child’s silence when approached by a stranger as fear, the child can begin to feel less capable and more uncertain in those situations. Labeling children as shy can only make them feel even more self-conscious and tentative. Sensitive children tend to retreat further when they sense parents trying to force or coax them out of themselves and into more assertive behavior. When we react out of fear as parents, we are never going to have a positive, encouraging effect. The only way to do that is to calm ourselves so that we can take the path of trust. I would trust this, Melaine: “Around us, he is very talkative, social, and FUNNY!” That’s your boy when he’s with people he knows and is comfortable with and can be fully himself. We’ve been blessed to have a section of beach near our home where dogs can run freely. Lately, we’ve been taking a large mixed breed puppy we adopted there to exercise and socialize. He’s a lover. Despite having been neglected prior to rescue, he’s never met a person or dog he doesn’t like. But another recently rescued dog frequenting that beach, a small Chihuahua mix, has seemed seriously afraid. He barks and growls whenever other dogs are in the vicinity, and so his owner immediately scoops him up and holds him protectively, which tends to make matters worse, because dogs like mine become even more curious. The little dog gets so freaked out that all other dogs end up needing to be restrained until his owner leaves with him. As sweet, apologetic, and obviously concerned as the owner has been, it’s not fun to run into this dog. So I was floored when the owner recently announced, “He’s okay now!” And sure enough, the change in her dog was miraculous. He still yipped and could easily be perceived as scared but was actually on the offensive, even assertive, and initiating play. At one point, he jumped up on my dog, who is several times his size. Thrilled and incredulous, I asked his owner, “What happened? !” “Well, our vet said, ‘You just have to start trusting him with other dogs.’” And so, she decided to trust him rather than shielding him, and that was that. In other words, her misperceptions and fears had been exacerbating this issue in a huge way. I can relate to your son. Why would he want to let someone else carry him? That’s an intimate activity — letting someone touch his body, trusting someone to hold him safely and comfortably in the air. Why would he want to speak with strangers? What would he have to say? Small talk? He is being authentic, not rude. Yes, it takes a very long time to get comfortable sharing yourself with people when you are sensitive to all their energy. That’s the definition of perceptiveness, and it’s a healthy trait. And what if you don’t entirely like what you see? “Please wait until I come to you.” That’s not weakness. It’s discernment and selectivity. My Gym and Wondertree… Yes, those overstimulating places… Imagine being the attuned type of person who takes that all in, and wow, it takes a while to get a grip on these kids and what they’ll do… they’re so unpredictable. And why fight for a toy? It’s just an object. If you want it that badly, go for it. Squeeze through a crowd of kids? Uh, no, I don’t think so! I guess, like me, your son will never be one for mosh pits. Jumping to conclusions about our children blinds us to all they are doing. It’s natural to want to guide our children to the results we perceive as better. But our efforts can unintentionally teach children that they’re not quite enough just as they are. Magda Gerber advised the perfect antidote: “Do less, observe more.” And she acknowledged, “We all need someone who understands” and appreciates us as is. Sensitive young children may not seem impressive and smooth. They’re awkward and halting and sometimes blush at the drop of a hat. Why is that negative? I’ve come to appreciate my sensitivity as an asset without which I could not do the work I do today. Children like yours, Melaine, are actually strong and present, patient and generous, aware and in tune. My recommendation is to embrace this guy. Trust his process. Encourage him to express whatever he’s feeling, and don’t judge or wish he’d improve. It’s perfectly normal and appropriate to feel unsure and want to hang back in social situations. Proceeding with caution is intelligent. What if blushing was cool because it’s so caring and real? What if awkwardness was seen as endearing and brave? What if vulnerability was considered deep and powerful? It’s all in the way we perceive, and our kids need us to see through a lens of acceptance and appreciation, to celebrate and delight in all they are. I share more on these topics in my posts: Empowering a Passive or “Shy” Child and What Children Know and Might Hurt Them. This post about the sensitive child resonates with me so much. My guy is three and he is very much like Melanie’s chid. I went through a period of worry about his shyness. I felt bad when a few times after someone would say hello to him randomly while we were out, he would shy away and hide behind me and I apologized for him being shy! It felt bad when I did it and I stopped saying that because it sounded like his reaction was a bad thing and I didn’t want him to think I was judging him. Reading your response to Melanie put this into a new perspective for me, thank you. I also have a question about my strong willed guy. 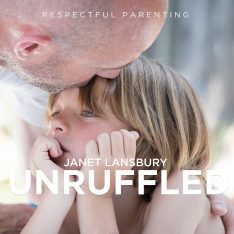 I have been working on respectful parenting and getting my husband interested in it as well. I struggle lately with patience. I definitely encourage him to play and I don’t direct him in that. The struggle comes when it’s time to get dressed, get out of the bath, put on pajamas, etc. Its’s also been difficult getting him to finish a meal while sitting down with us. I feel like I repeat myself so much, he just ignores me. I try the “ok now we are going to dressed” and he will say “no!” and run from me. I will say ” ok we are leaving, I need you to get dressed now” maybe I will have to say it again and eventually he will come and get dressed but after me asking for 10 minutes. I just feel exhausted from the day to day things with him that I am getting impatient and snippy with him sometimes and I don’t like how that feels. It sounds like if his behaviour is leaving you exhausted and snippy that you need to set more clear boundaries. If you ask him once and he doesn’t do something then it sounds like he needs your help to do it. Right now you are actually conditioning him to ignore you by asking him multiple times to do something when really at that moment he just isn’t able to it on his own. One strategy I sometimes use is to ask once, take a deep breath (to help when I start getting frustrated) and then I count down from 5. When I get to one I am calm and I will help her perform my request. Good luck! And stay calm! My son is a shy empathetic little human. Do you have any advice when strangers will say “he’s a little shy isn’t he?” or put a label on him that I’m not ok with. I will respond and say he’s not ready to come up to you yet. Is there anything else I can say that won’t make my son feel uncomfortable? Thank you!! Klaudia and Maria – Thanks for reading! What matters most to our children is how WE feel and respond to their hesitancy in these situations. If we are uncomfortable, insecure or impatient and coaxing them forward, it will make them retreat and feel less confident. But if we rise tall because we do believe in our child 100%, it almost doesn’t matter we say. It might be something like: “He takes his time,” with a confident shrug. Or “Hmmm… No, I don’t see that,” very matter of fact. People will say all kinds of thoughtless things to and about children, but our feelings about them are the ones that matter. My now 9 year old daughter hears this from strangers often. My reply “ strong yet silent”. It turns something I cringed hearing into an opportunity to tell her, and the world, it’s ok to be silent to strangers and I acknowledge her strength. Great post! My daughter is like this too. She’s high spirited, intense, hilarious and very precocious at home or with people she knows, but very quiet and withdrawn in public or with strangers. If she has a park to herself, she’ll play and engage, but put more than one or two kids there and she just watches and will turn away from kids who approach her. My question is what to do when strangers try to say hello and she literally turns away. I, too, have been saying “She’s shy.” But I see that I’m just apologizing for the social awkwardness and I don’t want to put that label on her anymore. Is there something else I should say or should I just try and endure the awkwardness of that moment? Thanks, Karen! I would just say, “Hi, how are you?” to the person yourself and let this go. This struck a nerve. I AM a sensitive person, always have been, but growing up, NO ONE understood this. I was made fun of and ridiculed by me own family for being too shy, too emotional, a cry baby, a loner, etc. I’m sure you get the picture, and THAT was from my family…we won’t get in to what others said about me. This all hurt me, and still does to this day. I learned to hide my emotions, my thoughts, my ideas, my voice. As a teenager I started smoking and you know what I found out…smoking makes us emotionally numb…miracle for someone who was told to stop beiing emotional! This has hurt my relationships with men, my own children and my williingness to make friends. I did quit smoking when I was pregnant but developed post partum depression and started taking anti depressants. FYI they not only numb the bad feelings but also the good ones! ( just do your own research before taking them and ask tons of questions to your doctor, please). I have 3 children and guess what they are all sensitive, the girls more than my son, but that’s just personality. So I teach my children how to accept their emotions. ( with a lot of help from you as other sources) I let them be shy. I avoid big play dates and crazy spaces, but still take them at times so that they will learn how to be sensitive and still have fun in these situations. As they get older (got an 18 yr old) I encourage them to find ways to challenge their ‘safe space’ By trying new things in their terms but still being willing to take a risk and say YES to new adventures. I will never tell my kids to stop being emotional. I might as well tell them to stop being human! Thanks for the article! Wish my family had read it years ago! Hi Heidi! What lucky children you have! You are clearly a wonderfully thoughtful mother… one of the many benefits of being a sensitive person. 🙂 Thanks so much for sharing! Wow. Thank you for this article. I’m grateful for all of your work, but this really resonated with me. I have a 2.5 year old boy that could have been described word for word by Melanie. I’m also a sensitive person and was misunderstood by my high-voltage parents. I’m probably a bit too overprotective of my son because I see his reactions through the lens of my parents looking at me. As if I’m worried he isn’t assertive, confident, outgoing enough (like me!). Thank you for your wonderfully written reminder that he is more than enough. He is a strong, perceptive, intelligent and kind human. He also has a wicked sense of humour (among trusted friends!). I’m excited to ditch my anxiety about his interactions and to trust and celebrate him as he is. That sounds wonderful to me, Emily. Thank you for your kind words. This article really resonates with me. I am like this in many ways and I also see that my 1yo daughter is very like me in this. I fully intend to respect and nurture this side of her. She will start nursery school in October and I’m not sure how to help her best through the process. At the moment, she won’t let anyone except mom and dad (including family) near her, much less touch her or stay with her. How do I help her to trust her new teacher and to feel comfortable at school / daycare? Ideally, I would give her a gradual transition to the daycare so that she has the chance to form secondary attachments with the new people caring for her. All along I would focus on acknowledging whatever feelings she has, i.e., wow, you didn’t like it that I left you with ___ for a few minutes. You wanted me to stay!” Acknowledge from a place of strength and believe in your daughter’s right to share strong feelings. Am I right in observing that most of the concern of parents is founded in a generalization they (or others) make about the child (and ourselves, too): shy, sensitive, willful, or assertive, confident, outgoing, etc.? Education is transcending the generalizations we make about ourselves. 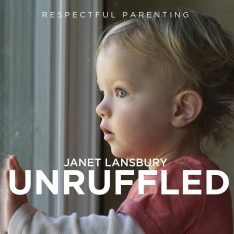 Janet, would you agree that this concept is at the core of respectful parenting? Yes, it absolutely is, Rick. One of our core practices beginning with newborns is sensitive observation. Practicing observation of our children helps us to see them ore clearly and avoid projecting, generalizing, and labeling. It’s a constant challenge since most of us are prone to do all those things. PS. Nice photo. Our kids need our toes to point out, not in. It’s just as easy to put a positive spin on everything as it is negative. The quiet kid isn’t always the empathetic, smart kid: that’s just a stereotype. “These reactions and over-reactions are geeky and odd…” This could be an example. “Geeky and odd” are in right now, but some behaviours can be irritating. If every time I approached my husband he squawked like a startled bird I might get exasperated over the years. Putting a positive spin on negative behaviors avoids dealing with them. That is very old school thinking… that our children’s inborn temperaments are problems we need to fix. That’s the surest way to foster insecurity, a sense of shame, and children who want to get as far away from their parents as possible as soon as they can. It’s also very odd and misguided to be comparing a young child to your husband. Sorry, but I can’t relate to your way of perceiving things. I consider that very black and white thinking. Our children’s inborn temperaments are not necessarily problems to be fixed, but nor are they always virtues to be nourished. The idea that shy children should be “fixed” is more damaging than the idea that shy children should be celebrated for their shyness, but both ideas ignore the complexity of individual children and their needs. For example, perhaps their shyness is caused by fear and anxiety rather than inborn temperament. I can relate to your way of perceiving things. Ah, that makes more sense to me. If there are reasons children might be genuinely fearful or anxious (trauma, etc. ), parents should obviously look into that. My hope is to help parents not to project their own discomfort onto their children, which is what I often see happening in my work. The parent is embarrassed by or fearful for the child, and that makes the child feels less capable and then behave in manner that the parent sees as validation of what they fear, which then makes them even less able to trust their child as competent, etc., creating a vicious cycle. It is my sense that this dynamic creates anxiety in the children. Our feelings are very powerful for our them. I have a soon to be 5 yr old who is in Kindergarten. She is both shy and yet invites every kid she meets to her birthday party (we as parents joke we will need to rent a stadium). She is not an introvert but sensitive. Noises get her anxious. Her seeing a cut on a family member gets her scared. Her teacher is prepping the class for fire drills…and now at home she cannot walk to bathroom by herself. Talking about it – she shuts down “ok ok ok”…I’m sure I need to listen and feel what she is feeling more. Educating and letting her know preparing makes me feel less scared. I’m not sure how the fire drill will go. Or what to do after. I want her to keep moving forward, perhaps I need to be more patient. Thoughts? I would be careful about seeing this as “anxiety” or “fear” or “shutting down”. Those are all scary, extreme terms. Instead, consider that loud noises bother her and hurt her ears… but they do pass. She doesn’t like the thought of skin being broken, but that doesn’t mean she’s “scared”. Why would she be scared about that? Sounds like she doesn’t want to talk through the fire drill.. just let her experience it. She will be all right. Mostly, I would work on calming your own fears and believing in your daughter as capable of handling all these age appropriate situations. She is not weak or deficient. I’m so happy to read this! I love what you have written and it validates my strongest intuitions about my child. I have a mother they think it’s a mental illness to be sensitive, and she and my sister are greatly annoyed by it. I’m told he needs to toughen up and not whine when her kids pick on him and then they will stop picking on him because it won’t be fun for them to torcher him anymore. But I feel strongly that he’s doing what he needs to do and while they don’t like it, his boundaries need to be respected and that it’s normal to not be ok with others not allowing you to have boundaries. Unfortunately at the moment I am living with my mother because we lost our home and my sister comes over about 5 days a week. Until I can get us out of here what can I tell him to help is self esteem be strong. At first I was telling him not to have back but then he was just getting beat up and everyone was telling me I need to let him defend himself so I started letting him have back and then he started hitting his sister and acting like them so now we’re back to no hitting at all is allowed but I don’t want him to feel like he can’t defend himself. What does he need me to do for him and what can I tell him so that I’m empowering him but not robbing him of the chance to grow in a good direction and at the same time helping prevent him growing in an unhealthy direction in this situation? Oh yeah he is 3 and his little sister is 2. I’m also concerned about protecting them too much but the children that my children have to deal with are very calculated and cruel and I hate to leave the room when my kids are around their cousins because something bad will happen to them if I do. I need to know how to find the boundary between being overprotective and negligent sometimes it’s hard to tell where I need to be with this issue. Thanks again for your wonderful Insight it was inspiring to read your words! My 1 year old is very similar in that she is really only comfortable with me and her Dad, she gets upset if any other adults are around (often even if we’re present). We’ve never been able to leave her with a grandparent etc as she gets too upset with us leaving (she loves other children though and happily plays with them). I’m about to return to work, so she will need to go into childcare for two half days each week, and so far she just cries and screams when I take her there. How do you suggest we help her adjust to daycare with other adults caring for her? We only have two more visits before I return to work. What a great article. My son is autistic and I believe so much that letting him be who he is, sensitive and all, is the best for his development. I’ve been constantly pushed to this therapist and that therapist, all suggesting he needs behavioral therapy. He’s two! He’s really not much different from any other child his age. He’s just who he is. The last thing he needs is for someone to tell him that being himself is wrong. I’ve found that positive redirection, love, and acceptance are the best for his development. Thank you, Charity. I love your attitude. Your boy is blessed to have a parent who accepts and believes in him. How would you suggest dealing with an almost 3-year-old who has suddenly become scared of her grandparents. She has always seemed to take a while to warm up to some people, and even with the grandparents who we see at least once a week, she sometimes goes into another room and screams “No!” and then comes out and plays with them when she’s ready. They usually try to coax her out, or pretend they’re leaving which I don’t like, but don’t want to offend them. However, the last few times we’ve seem the grandparents, she hasn’t spoken a word in their presence, and the last time she froze and then just hugged me. As soon as we get in our car, or if they leave our house, she’s back to her normal chatty self the way she used to be around them too. Would you think it’s better not to see them for a while, or just keep meeting up and not making a big deal and hope she adjusts? I first want to say, I’m so happy someone suggested I listen to your podcasts and read your articles, they’ve been very eye opening and helpful. We have a 2.5 year old little boy who we would consider to be highly emotional. He’s smart, funny, thoughtfuland loves to push boundaries (like most two year olds do) and can be extremely temperamental. However, my husband and I could use some guidance when it comes to social situations. Recently, we went to a family gathering and as soon as we walked in the door he started yelling and panicking “no, no, no- go home, go home!” This is before any family approaches him. I try and tell him before we go to any social places about where we are going, what we will be doing, etc. Anyways, for the first 45 mins anytime anyone would approach him he would Scream and tell… Nooooooooooo! Get away from me! And will start swatting his hand. Most people don’t know what to say or do, because he just can’t seem to want to break that shell. I try to give him time and let HIM approach others. It’s awful to say, but many time I dread going to social gatherings because of the way he reacts. Help!! I too have a strong yet silent now 4 year old. She has been at presch for a year yet tells me she still sits in the book corner alone. They say she is an observer there too. Then when she is out and about with me and seems quiet and reserved (even with her own friends if there is more than one present) it worries me that she is missing out on developing at her friends speed with social interaction, she will be left behind and lonely. I am putting my own worries on to her, when in fact I too was and am a quiet person but have navigated the world just fine!! While she is quite often an observer, she also astounds me with her cleverness, her compassion, her need to help others, her humour and observational skills. She is just amazing and I find it so hard to realise that she doesnt let others see this. I guess I should just be even prouder that she shares it with me! <3 She is also very stubborn, knows her mind and holds onto her pride when her offers of help are rebuffed – something we are trying to overcome!! However, I have done all the wrong things until now – how do I go about undoing these things? She is scared when someone chases her – petrified (i do not take ownership of this) and will run to our safety, therefore when chn run around her she tries to find safety, she often likes to be carried in new places or new settings when she is unfamiliar, she wont speak for herself ie there is an issue at presch but she is scared to go because if it happens she says she wont remember the words to ask the ladies for help and therefore she cannot go. .. (we have chatted together at presch so we are all on the same page). When her friends are grumpy with her she is visibly upset but holds it inside – she wont use her words to tell adults or her friend how she feels – all ok when I am there but she holds onto things that upset her and relives them and it festers until she is petrified to go to presch! How do I encourage her to stand up for herself when I am not there? Will all this come with time? do i answer for her for now? How do i teach her to stand up for herself? Hello Janet, I absolutely love your posts. This one especially resonates for my son, 4.5 yo and very perceptive and aware of everything. He has been this way since birth, though there is an overarching issue that I am struggling to address. He is awkward and uncomfortable around other people, especially kids, girls, and strangers and his discomfort frequently translates into hostility or aggression. I can see that he has these big feelings, but he will start hitting, antagonizing, or generally playing rough with girls he wants to play with. Of course, he doesn’t understand that his behavior actually makes them not want to play! I have explained this to him quite a bit and we talk about the uncomfortable feelings, but he still acts out in this manner, requiring physical intervention from the caregiver. He is a big kid. He can actually overpower or overwhelm some of our sitters. I cannot trust him to play with others without being directly in the room because of this issue. It seems that other kids his age can play successfully without a lot of interference from adults. Do you have any articles or suggestions for me? Also possibly get an OT eval because sensory processing disorder can cause some of these behaviors and there is therapy for it!